The donut scene is heating up. We mentioned Destination Donuts last time. A few local restaurants including Deepwood and Latitude 41 have dabbled in donuts on occasion and we have a few other folks in the research and development stages…..or so they say. The pathway to donut pioneerdom is not always intentional, it sometimes the mother of invention. But before we go down that rabbit hole, let’s profile the man behind the donut. First thing you should know about Brian Thornton from OH! Burgers he is a classic food trucker. He epitomizes and balances the qualities of a pirate, handy man, entrepreneur and kitchen rat. He went to culinary school but his undergrad was not so culinary and he thinks as much as a chef as he does an engineer. He worked on the line at the Refectory and worked in an office in a factory. There are some polarities involved for sure. Oh, did I also mention, he is known as Thor. When I first met Brian he said he was going to do a food truck. I lot of people tell me that (as I told myself as well). He was not sure how it would pay for it, but he would figure it out. Shortly thereafter he bought the defunct Hot Pita Truck (I did not think anyone would do so on more than a few occasions) and transformed it into OH! Burgers. If you have ever seen the old movie PT 109, where the ragtag crew first sees the beat up old patrol boat and then works on it to get it shipshape then you can understand my observations of Brian and his food truck. He tinkered and rebuilt, reconfigured and tweaked and eventually got it on the streets. His approach towards mechanics and the culinary arts are about the same: 1/2 mad scientist and 1/2 wizard. His menu is simple, burgers and sweet potato chips. I experienced his scientific approach to chips over the winter of 2012. He kept at them. Changing one thing, then another, trying multiple variations until every aspect of the chips were what he wanted and then he stopped. Then he worked on sauces for the chips. The weird science of OH! Burgers continued when the concept of pickles crossed his mind. He learns, tests, tweaks, tests and refines. In a couple of weeks we had a wide variety of pickles. Then one day we were discussing other things he could do with sweet potatoes (he had a lot of them) and thought fritters might be a good offshoot. 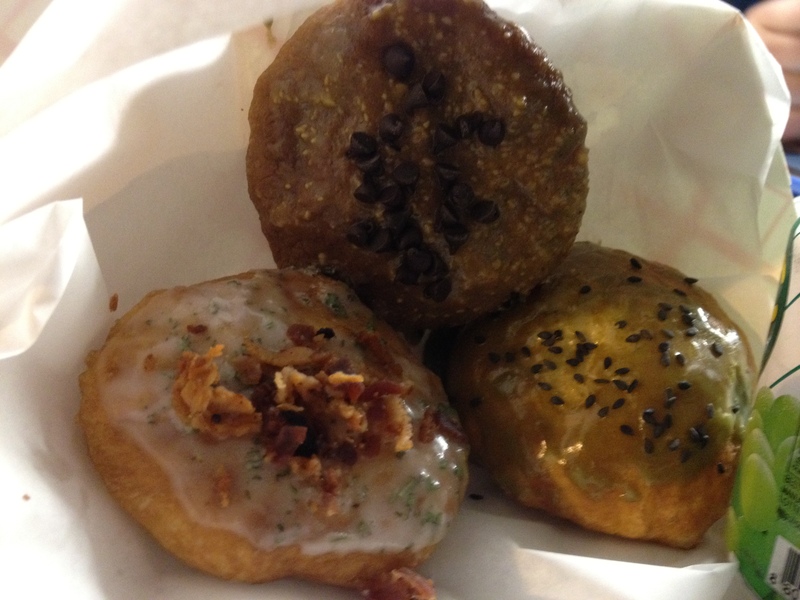 The fritters (they were good) became sweet potato donuts after short time. Then sweet potato donuts became more traditional donuts with flour instead of sweet potatoes as a base. The exploration continues. “What if I try this………”, “Today I found a really good flour so I changed up recipe” X to X+1…. Alton Brown and Galileo would be equally proud of this approach to culinary investigation. However, OH Nut donuts in one form or another or both are here to stay on OH! Burgers. When can you find the latest refinement to mobile donuts? 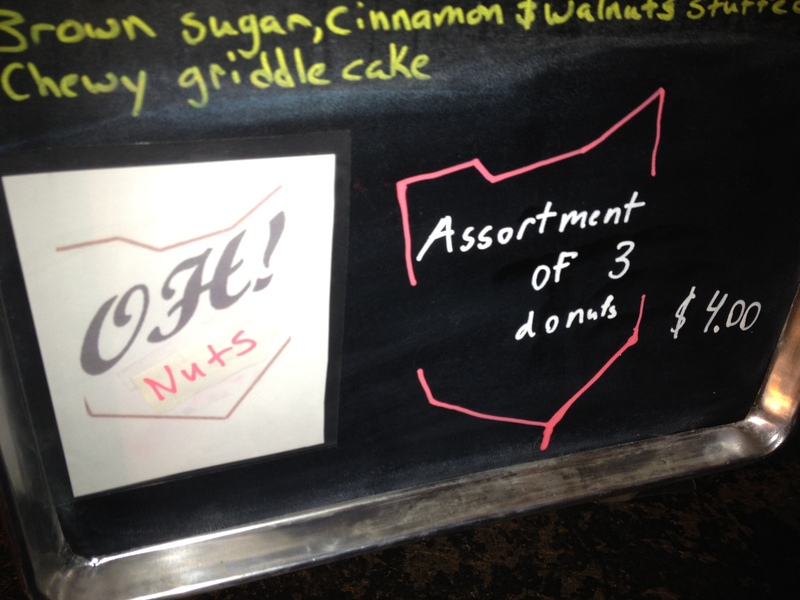 Brian often serves a three donut combo (one of each flavor) from the OH! Burgers food truck. On occasion, he takes over the back section and one fryer in the Ajumama Food Truck to pair his donuts with Ajumama’s Korean comfort street food. 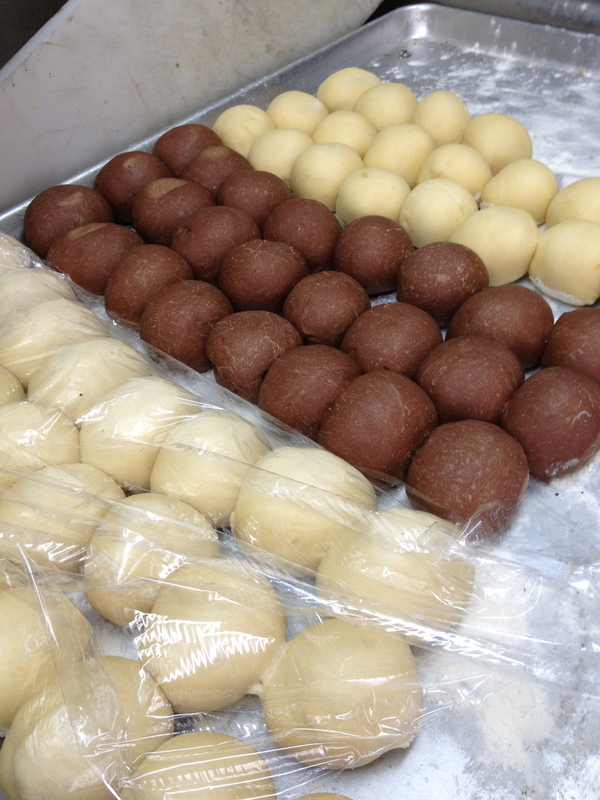 What types of donuts can you expect to sample? Bacon, Fruity Pebbles and mini M & M’s are frequent toppings. Krema Spicy Peanut Butter has appeared a few times. The current “money” donut has Tequila in the dough, a vanilla glaze on top and lime zest for flavor and fun. That is a winner. 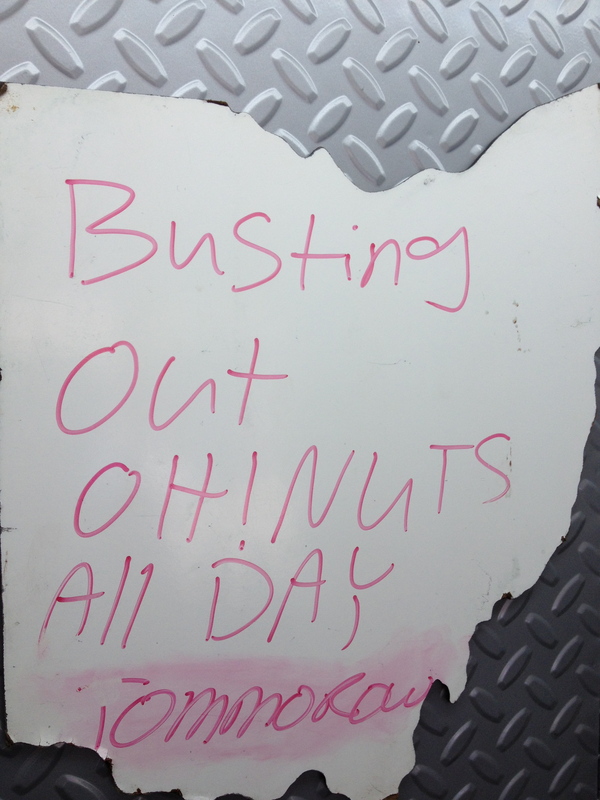 Watch for more “research and development” in donuts and more from OH! Burgers and the mighty Thor. 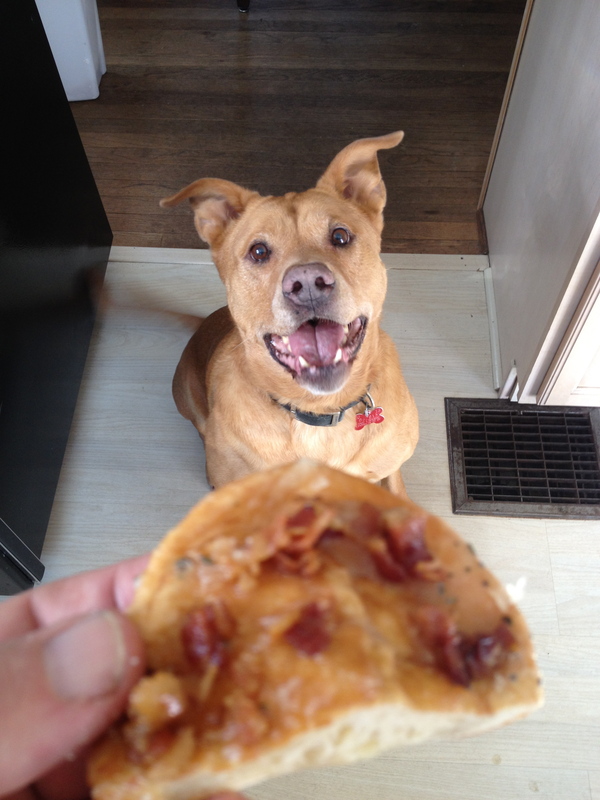 As as side note, the infamous CMH Tobias has assisted in the donut review process. See below. 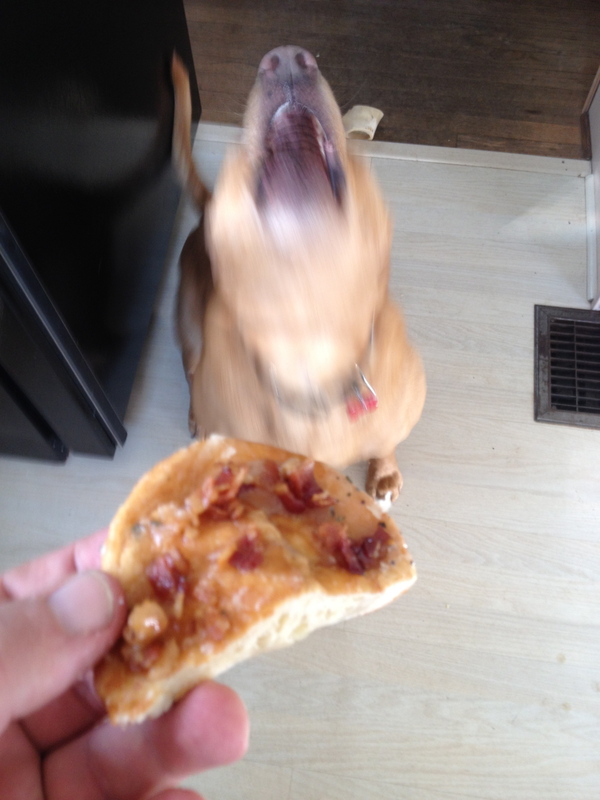 This entry was posted on April 10, 2013 at 4:49 PM	and is filed under culinary knowledge, donuts. Tagged: OH! Burgers, OH! Nuts, Thor. You can follow any responses to this entry through the RSS 2.0 feed. You can leave a response, or trackback from your own site.